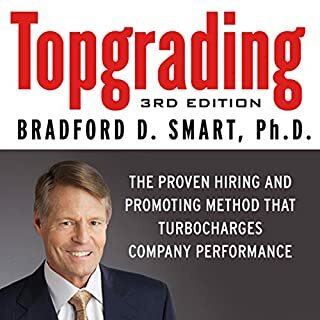 Written by: Bradford D. Smart Ph.D. Here's the hard truth about leadership: It either forces you to get stronger or it slowly destroys your life. There is no in-between. 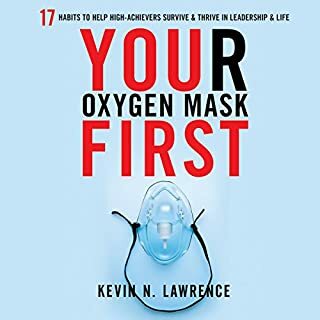 Kevin Lawrence has discovered 17 habits that allow any leader to transcend the perils of success and keep achieving - habits that have already helped hundreds of CEOs and executives become stronger and more resilient. ©2014 Gazelles East Pte. Ltd. (P)2014 Gazelles East Pte. 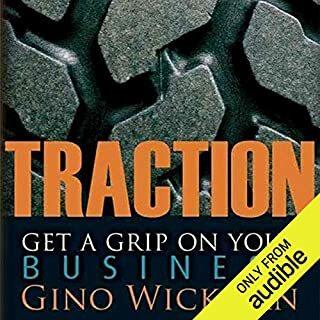 Ltd.
best book I have read as an entrepreneur. the fire is lit this will be read again and again. 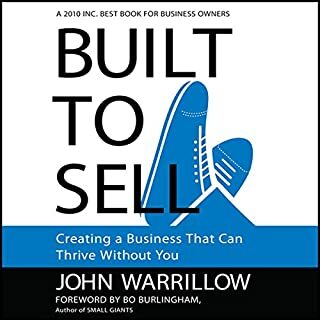 this was a great business book with how to tips you can use right away. It's a good book. Dense and full of wisdom. Highly practical too – lots of worksheets to fill out. It's mostly for companies 7-10 employees and up though. 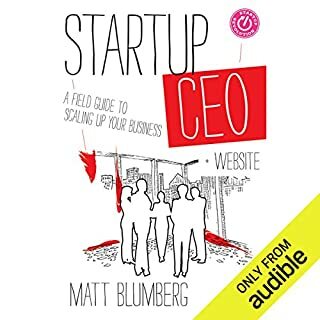 I can't help but wonder why there aren't more books written, targeting the solopreneurial startup phase: from 1 (you) to those 2-3 employees and up to the 8-12 employees where books like this one can take over, offering helpful advice for those stages. 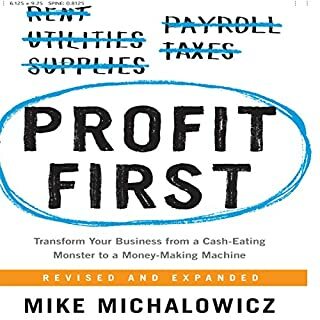 Yes, there are plenty startup books with advice on how to select the best team members – but few that talk about the dangers of taking in/on those initial few employees: cashflow-wise, it can be a huge killer to any little business. When should one hire the first employee – and what signs and pitfalls should one look for, in times of distress (bad cashflow for example)... And should one even hire ANY employees at all? Or rather find a solid business partner and a mentor, essentially making it a small company of three?What are the pros and cons of such a constellation? Again: very few books seem to target this market and those vital questions. 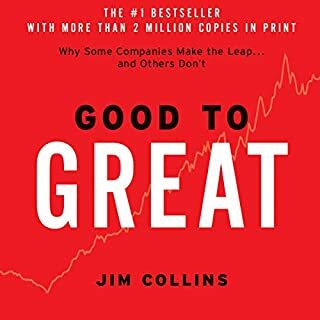 Without first finding the answers to them, and the challenges they represent; there's little need for a book like Scaling Up – many of us just aren't there yet. 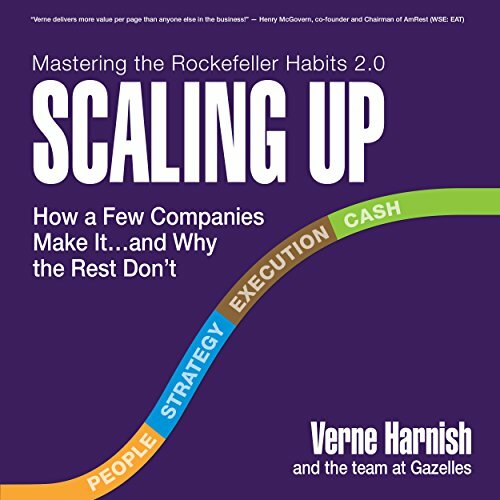 Would you listen to Scaling Up again? Why? I will have to listen again but this time with a pen and paper ready to take notes. 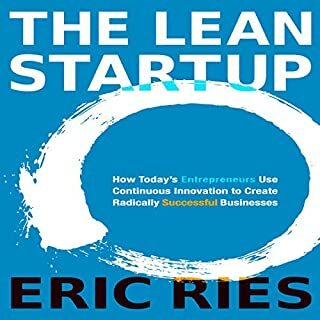 This is the perfect book for business owners that have gotten over the "start-up" hurdle and are beginning to enjoy some success. It really gets specific on how to carefully grow your company as to avoid some common pitfalls...mainly running out of CASH!!! I have seen our company sales growing rapidly but could not figure out where all the cash was going. This book hit me right in the face! My problem was not sales it was cash flow!!! I now have several specific action items I went to work on immediately. It has very practical, actionable advice but there are way too many plugs for his business. At the end one is left wondering if the intent was really to help entrepreneurs or to generate opportunities for his consulting group. The overall content was great. Narration style was difficult to follow due to too frequent accentuation. 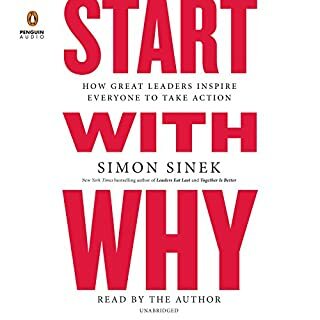 This book is good to get your brain thinking about the right way to do things/change things. 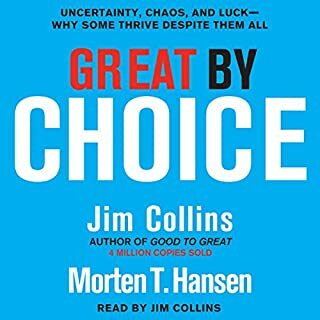 Not super in-depth about any one particular item; but covers a lot of different aspects that will now require further study and implementation. Well, I thought my business was doing well. Now I have my work cutout for me. Desire to learn and a bias for action. What disappointed you about Scaling Up? This book is literally Useless. It has no meat. No real advice. 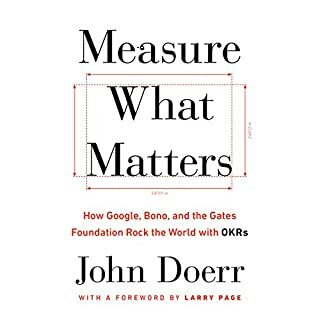 It's filled with a string of unconnected thoughts, thin metaphors and anecdotal stories that barely scratch the surface of any real business issue. It's filled with useless phrases like "the first rule of money management is don't run out of money" and then it moves on to a completely separate thought like "business is like climbing everest...". It feels like it was written by a high school student. It's SOOO Bad. 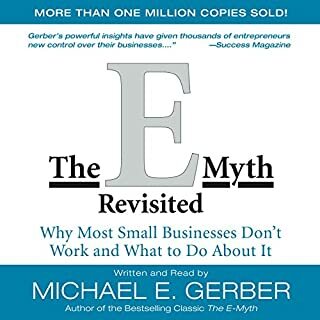 What could Verne Harnish have done to make this a more enjoyable book for you? I wish he had done some first hand research, and/or had some first hand experience in business. It sounds like he's just regurgitating things he's heard from amateur entrepreneurs. What aspect of Spencer Cannon’s performance would you have changed? 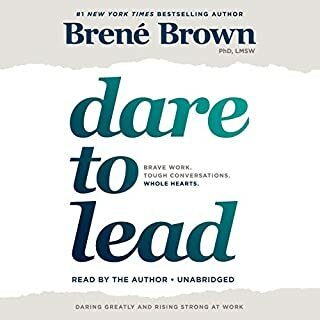 Normally the reviews you find on audible are fairly reliable, but there is literally no possible way that the 5 Star Reviews on this book are real. They have to be faked becuase this book is seriously useless. 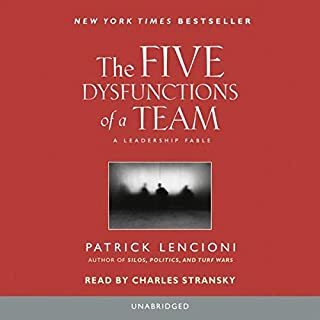 The only way those 5 Star Reviews could be real is if they all came from people who have zero actual experience running a business and instead they thrive on pep-talks and spend their days dreaming about "one day I'll start a business..." but if you want real help scaling up a business, stay away from this book, you'll find nothing useful here. 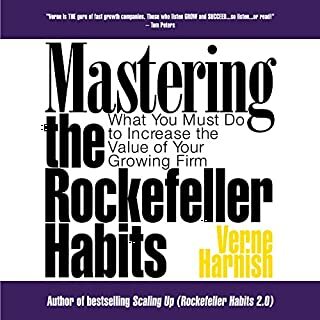 Would you try another book from Verne Harnish and/or Spencer Cannon? Hiring a human to narrate the book. 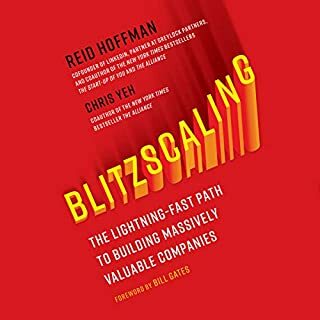 Did Scaling Up inspire you to do anything? 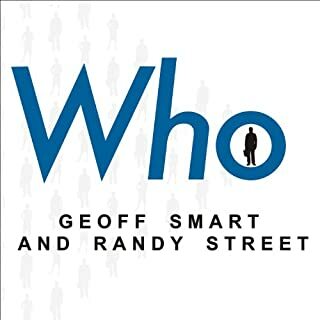 The narrator has this weird cadence, he starts low, goes high, then goes low again, long pause at each period, than starts again on the next sentence. The whole thing feels like he is reading a bullet point list, it is very taxing to listen to. 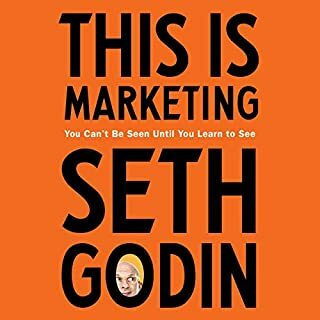 It's wrapped with so much sales pitch that almost every two minutes you feel like stopping. Good intention, awful execution, this book could have been so much better had they not made into a huge sales pitch.